Vaccinations teach your body how to defend itself by triggering your immune system to prevent serious or life-threatening diseases. By exposing your system to a minute amount of a weakened (or killed) virus or bacteria, your body will be able to recognize and attack an infection if you're exposed to the disease later in life. Routine immunizations as recommended by the CDC (Centers for Disease Control and Prevention) and U.S. Department of Health are a natural way to protect you and your loved ones from very dangerous health conditions. Once you're vaccinated, if you are exposed to the bacteria or virus, you will either not become ill or experience a much milder case of the disease. Common immunizations often contain combined doses (multidose) such as MMR (measles, mumps and rubella) using a weakened or attenuated form of the contagion. Your annual flu shot is a good example of a vaccination that is derived from an inactive or killed virus or bacteria by isolating a small amount of protein. Other vaccines may be man-made or biosynthetic, or contain a toxic chemical that makes you immune to the harmful effects of an infection such as tetanus. Similar to other medications, there is always a chance that a vaccination may cause side effects but history has shown the potential benefits of immunizations outweigh the potential risks. If you are pregnant, be certain to inform the healthcare professional that's administering your immunization. Some vaccinations made from live forms of viral or bacterial strains are very dangerous to the fetus, such as chickenpox, MMR and the nasal mist form of the flu vaccine. Although babies are born with some protection that is passed from the mother, the global nature of today's busy world can expose infants to diseases from other parts of the world without your knowing. 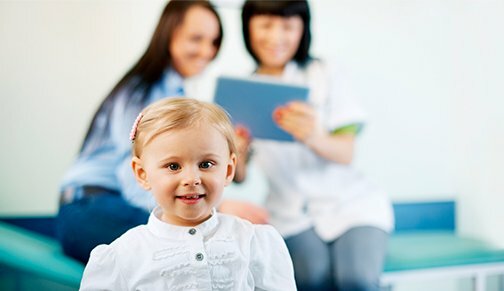 In the United States, the American Academy of Pediatrics maintains an updated schedule for immunizations based on your child's age. NOTE: There are recent immunizations that are highly recommended for adults and seniors, such as the shingles vaccination, that can provide an important immunogenic effect. Call PrimeMed today.